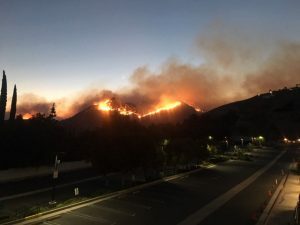 The Camp, Woolsey and Hill fires that raged through California in early November are the latest in a series of events that the local and national Jewish communities have faced. A little more than a week after the tragic Pittsburgh, Pennsylvania, shooting at Tree of Life synagogue and less than 24 hours after the mass shooting at Borderline Bar & Grill in Thousand Oaks, California—a place where many families and friends of local congregants attended regularly—the trio of fires forced more than 300,000 people to evacuate, destroyed thousands of homes and threatened synagogues all over the state. But through the ashes and devastation caused by the wildfires, heroic group and individual efforts have shown—as they have time and time again throughout history—the remarkable power of the Jewish network when it comes together. Leadership from Temple Aliyah (Woodland Hills, California), Temple Etz Chaim (Thousand Oaks, California) and Shomrei Torah Synagogue (West Hills, California)—three synagogues in the thick of the Southern California Woolsey and Hill fires—spoke about their experiences throughout these challenging times and expressed unbelievable gratitude to those in the Jewish community who made sure they always had a home to go to. Temple Aliyah wasted little time when it came to making sure congregants were safe and all valuables inside the synagogue were out of harm’s way. The morning after the fires started to spread, leaders quickly removed the Sefer Torah and all sacred materials out of the shul and off the facility to a safe location. 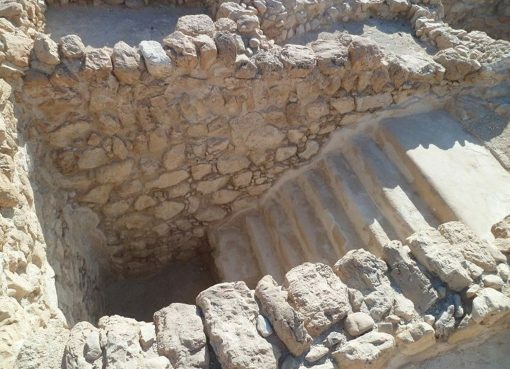 Soon after, every member of the synagogue received a phone call from one of the temple’s several dedicated volunteers. 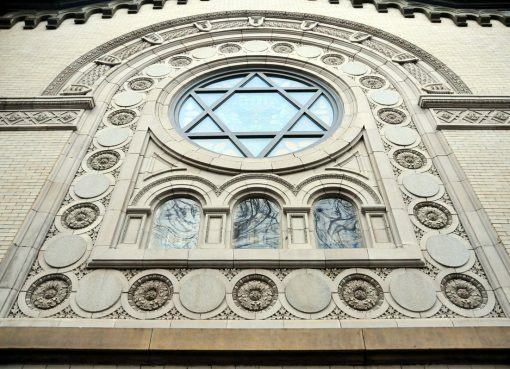 “In a moment of crisis, it’s critical for communities to come together and from the synagogue’s standpoint, to be in touch with everyone, whether it’s checking in to make sure each person is okay, offering support or connecting them to whatever they need,” says Membership Engagement Director Alicia Cohen Kraus, who worked four consecutive 12-plus hour days coordinating dozens of volunteers, matching evacuees with temporary homes and even opening her own home to anyone who needed it. Sleeping roughly 15 hours in a span of five days, Rabbi Goldstein was one of several clergy and staff at Temple Aliyah who worked night and day ensuring that every member of the congregation was safe. Through live videos on Facebook, Rabbi Goldstein helped reach tens of thousands in the community by informing them about the various programs and services available to evacuees. He also collaborated with clergy from several local synagogues, emergency response teams and agencies and made himself available for counseling if any community members needed someone to talk to. 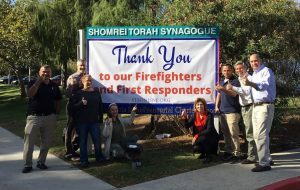 Once deemed safe, Temple Etz Chaim ramped up its community outreach by taking in Ilan Ramon Day School in Agoura Hills and Adat Elohim in Thousand Oaks, each of which sustained damage to their facilities in the fires. Both schools, which will likely remain at Temple Etz Chaim through at least December, were offered to join in for Shabbat service and have been able to hold staff meetings. Temple Etz Chaim also held a successful community-wide blood drive and offered free childcare for any family who needed it. 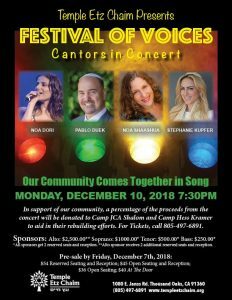 In further support of the community, the synagogue will give a portion of the proceeds from its December 10 Cantors in Concert event to Camp JCA Shalom and Camp Hess Kramer, two beloved Jewish summer camps destroyed by the fire. 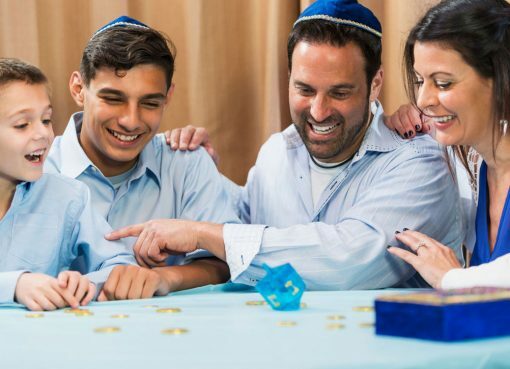 How do you tell soon-to-be B’nai Mitzvah that the biggest event of their lives may have to be pushed back until the foreseeable future? This was the dilemma Shomrei Torah Synagogue faced while flames became visible from the steps of the synagogue. The decision was made early in the morning that day to move both B’nai Mitzvah events 15 miles away to Valley Beth Shalom, which graciously welcomed the impacted families and their friends to the synagogue. 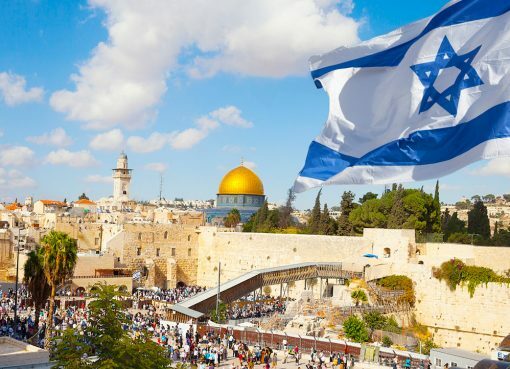 No matter what state or even country you reside in, here are two steps you can take to help: Consider supporting the Jewish Federation of Los Angeles, which has created a Wildfire Relief Fund, or donate to USCJ’s Disaster Relief Fund. USCJ’s funding often supports needs that other funders do not.